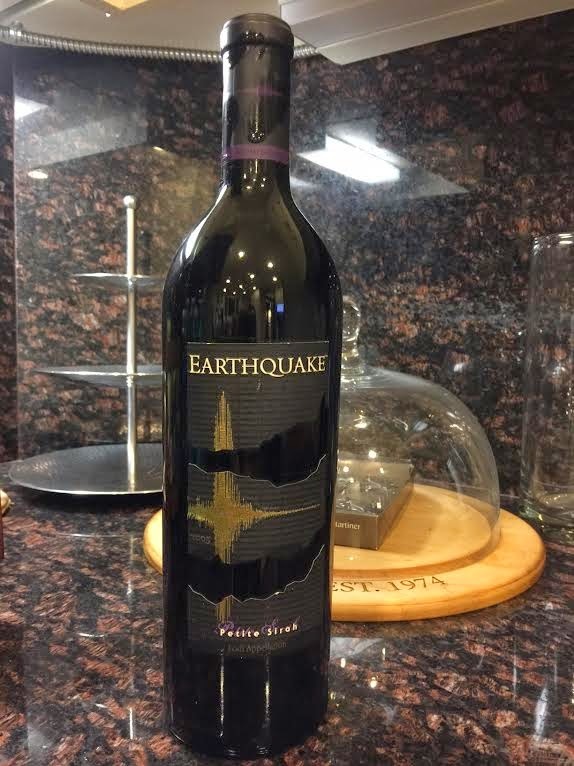 Check out today's pricing and retail availability for Earthquake Petite Sirah. In the glass: Deep dusty red, opaque in the center. On the nose: Poured at cellar temperature and swirled vigorously, shows deep, fat, thick bloody aromas, carrying plenty of red beef and fruit. From the aroma, seems like this will be thick and powerful. On the palate: The primary elements on the palate are in fact much as anticipated, with fat red fruit plus lighter, mineral tannins, holding the bright sip for a clean finish. A little hint of black tangy charcoal in the mix. Full, but fresh and bright - not showing its nine years at all. In summary: Overall, rates three stars and just touches a star on the five-star Spirit of Wine scale, making this a good value.